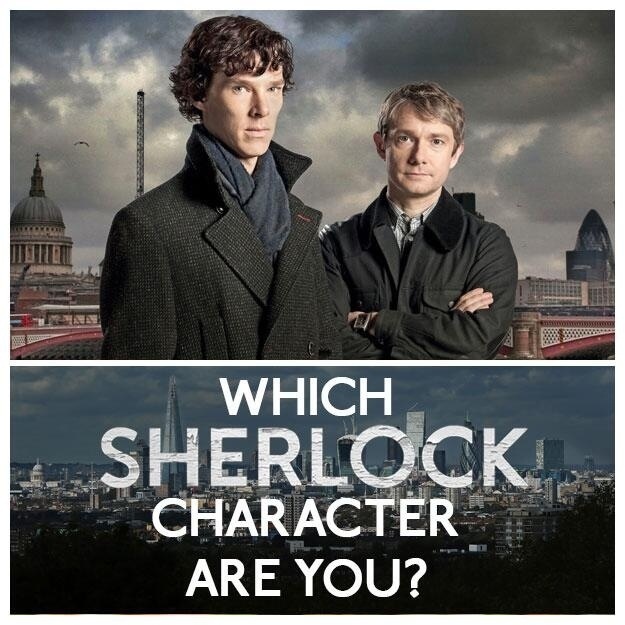 I need new Sherlock episodes back in my life! Here’s a fun quiz from Buzzfeed to get us ready. 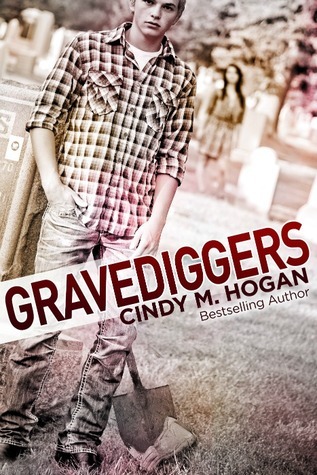 If you’re looking for a suspenseful, creepy mystery with a good dose of romance, then Gravediggers is for you. This story was told from Billy’s point of view, a seventeen year old boy whose father was killed several years previously in a hit and run accident. Billy never really believe it was an accident, though, and has almost given up hope that his father’s killer will ever be found. Until he finds an old ammo box while digging a grave in the church’s graveyard. Billy and his friends set off to solve the mystery of his father’s death, and of the other strange things going on in their small Southern town, and the result is a good creeper of a story reminiscent of Midnight in the Garden of Good and Evil for teens. Claire’s life has been completely turned upside down, between her mom’s cancer and death, the realization that her college fund has disappeared, and the break up with her first love, Jared, which was her mother’s dying wish. And, as if that’s not enough to send any teenage girl into a sinking spiral of depression, there’s also the little detail about Jared turning their break up into a song… and getting his big break by ranting about her and their big break up. Now the radio isn’t even safe. Then, months after all of this happened and right after her high school graduation, Claire’s family heads to the beach for the summer. At the beach, Claire really shines and shows her worth as a character because she doesn’t mope around and ignore the world, though we’d certainly understand and forgive her if she did. Instead she goes and gets herself a job in the local grocery store to try to earn back some of that college money. She’s not a helpless little whiny girl. She’s a get out there and get whatever job you can kind of girl. I like that about her. Of course, though, she just has to run into Jared. He comes into the store while she’s working, and they spend the summer working through the break up songs, arguing, and more. This is really a sweet story. I loved the characters and the romance of it all, and the song-writing and music focus was fun, making it stand out from your typical YA romance. I’ll definitely be checking out future Tracey Martin titles! 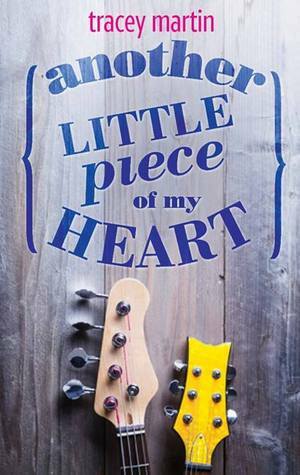 Another Little Piece of My Heart is available as an ebook, and is actually on sale at Amazon right now for $2.50. I’m telling you, this is a great way to spend $2.50! Where the Wild Things Are: An Open Letter to my Sister for Christmas. You may be wondering why I’m giving you a picture book for Christmas. I’m well aware of the fact that you’re not a child. 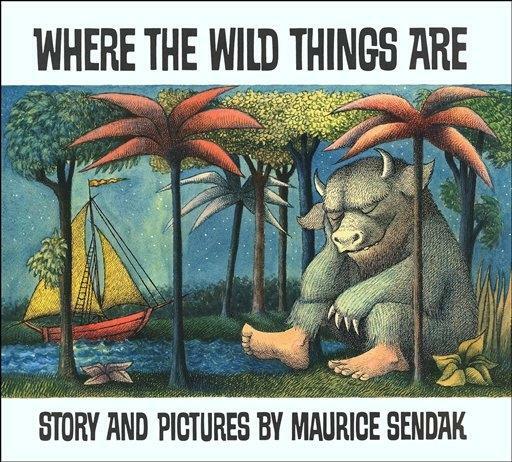 :) I’m giving you this, though, because it is my very favorite book of all time – not because of the cool illustrations or the wild rumpus pages, but because it is a perfect metaphor for life. And family. And unconditional love. Now, go ahead and read it. The whole thing. Before you finish my letter. So Max messes up. He makes mistakes. He wore a wolf suit and threatened his mom, and so he was disciplined. But he was out there, right? Playing dress up, figuring it all out, and learning. What I love about Max is that he doesn’t back down from life when it gets challenging. He perseveres and uses his imagination, traveling to the place where the wild things are. He doesn’t sit down and pout. He gets into the boat that shows up (God is like that – just when there’s nothing we can do on our own, He makes a way), and he goes. Instead of sitting still, he takes action and goes somewhere. And what does he do when he gets there? Does he back down when he sees the scary and intimidating wild things? No. He stands strong and firm and looks them straight in the eye. We all face challenges and obstacles and moments when we feel stuck. All of us. And if you don’t feel that way right now, at this exact moment, you will soon. It’s just part of life. So when it happens, we have to keep our hope and imagination, step into whatever way out of the situation God provides with faith and determination, and look our monsters straight in the eye. Don’t back down and don’t ever give up hope. 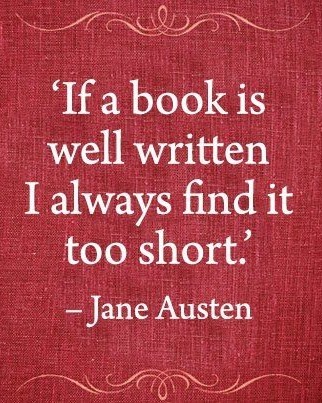 So as good as that all is, it’s the end that makes it the greatest story. Because, in the end, Max goes home and sees his mom’s love and grace and compassion in the form of still-hot meal. I love it. What a great reminder that our family, and more importantly our God, will always be there with open arms full of grace, welcoming us home. I love you. I’m proud of the woman that you are. I can’t wait to see what your future holds. And I will always, always, always be ready with a still-hot meal cooked just for you. What happens to my high school friendships? Long distance romances… yes or no? How can I NOT leave my family? Am I really ready to grow up? Will we get along and be able to live with each other? Can even I do this? On top of all of that, which was fun to watch as EB and Lauren grew up over the course of the summer and developed a great foundation of a relationship to start their college experiences off with, the story is told in alternating points of view, which I love. I’m a sucker for a well written story with multiple points of view. I find it fascinating. And in this case, with Zarr and Altebrando both writing (I assume they each wrote one of the girls), they really FELT like two completely different people instead of one person writing two characters. It was cool. I’d recommend this for girls in high school, probably tenth grade and up, and for college/adult women as well. There’s a lot here to make you reflect on your own college experience. It made me wonder how my college years could have been different if I’d had a chance to get to know a roommate before moving in. Or what I would have done differently that summer before college knowing how those high school relationships would fade away so quickly once I moved across the country. Anyway, I really enjoyed these two characters and seeing how their final summers at home played out. I’d also really like to see a follow-up of their first year in college or something. While the story ended well and I felt satisfied that it was sufficiently finished, I also wanted to know more about them. Make sure you check it out! 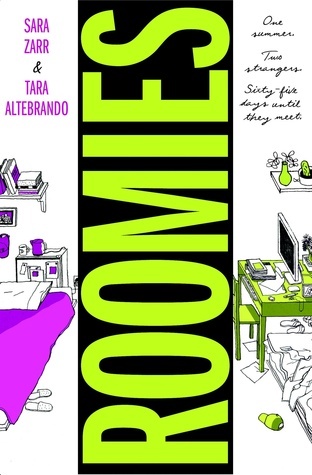 Roomies releases on December 24 and can be ordered here on Amazon.